One of the major sections of the Torah portion of Pinchas comes in Num. chapters 28-29, which details the laws of the daily sacrifice offered in the ancient Temple, as well as the special additional sacrifices offered on each of the holidays. Like other sections of the Torah that detail sacrificial laws, this one can appear to be boring at first blush. We don’t offer sacrifices anymore (and we might be uncomfortable with the idea of doing so), and we may feel we already know the calendar. So what’s to gain by paying attention? In the words of the literary critic Denis Donoghue, “Interpretation begins when someone decides to pay attention to a text.” (The Practice of Reading, p. 80) There is meaning here, provided we do in fact pay attention. As Rabbi Menachem Leibtag points out, three general groupings emerge from this chart. In the first group we have Rosh Chodesh, the New Moon festival, along with the Festival of Matzot (Passover), and Shavuot. All of these have the 2-1-7-1 pattern, and they are all thematically linked to the Exodus from Egypt: Passover for obvious reasons, Shavuot by its link to Passover through the counting of the Omer, and Rosh Chodesh from Exodus 12:1–the commandment to establish Rosh Chodesh was the first command of the Exodus story. 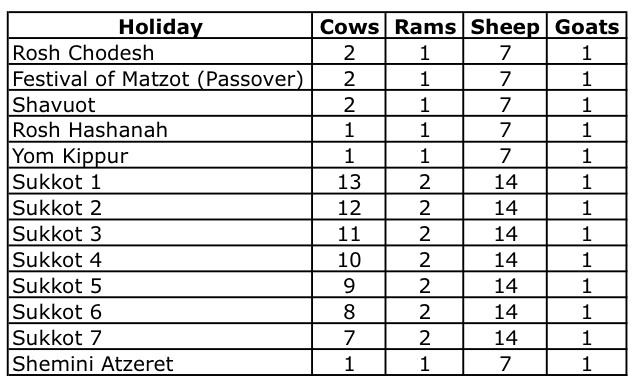 In the second group are the Tishrei holidays, with the 1-1-7-1 pattern: Rosh Hashanah and Yom Kippur, along with Shemini Atzeret. All three of these can be classified as judgment holidays: Rosh Hashanah and Yom Kippur for obvious reasons, and Shemini Atzeret as the time when the land of Israel is judged for the amount of water it will have in the coming year. Sukkot is the last group, and has the most variety in its numbers. Rabbi Leibtag suggests that Sukkot is a combination of the other two groups, since it both occurs in Tishrei and commemorates the Exodus. This is symbolized in the way that the rams and sheep are added together to yield double the number on Sukkot (2 and 14, respectively, instead of 1 and 7). Sukkot marks the coming-together of two themes of the Jewish holiday cycle: the embracing nature of the Exodus story, which emphasizes God’s taking us out of one place and setting us on the journey toward a new home; and the challenging nature of the days of judgment, which emphasize teshuva, returning home from our journeys with a renewed sense of completion. 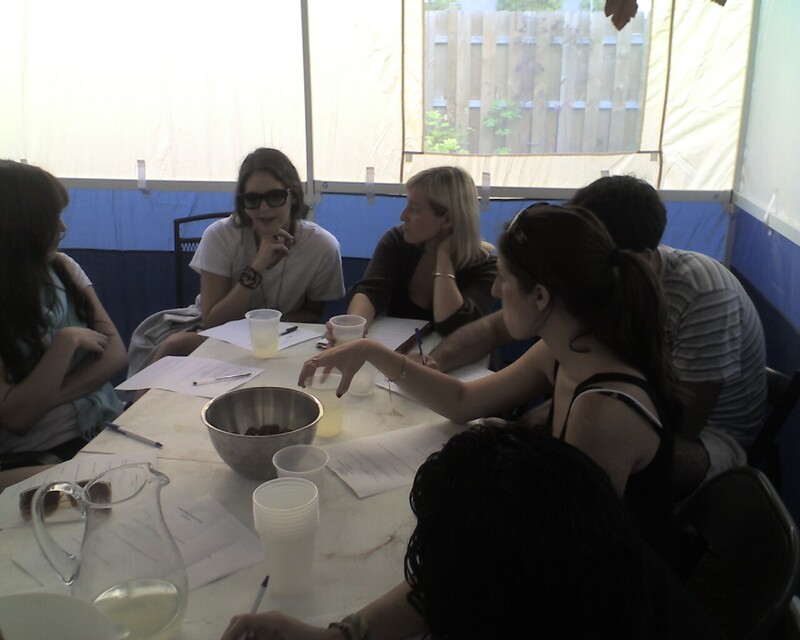 Sukkot is the ultimate holiday of homecoming, when we reconnect with our original journey towards home and assimilate the journeys we have experienced into our consciousness. The Talmud relates a disagreement about the nature of the sukkot in which the children of Israel dwelt during their time in the desert. 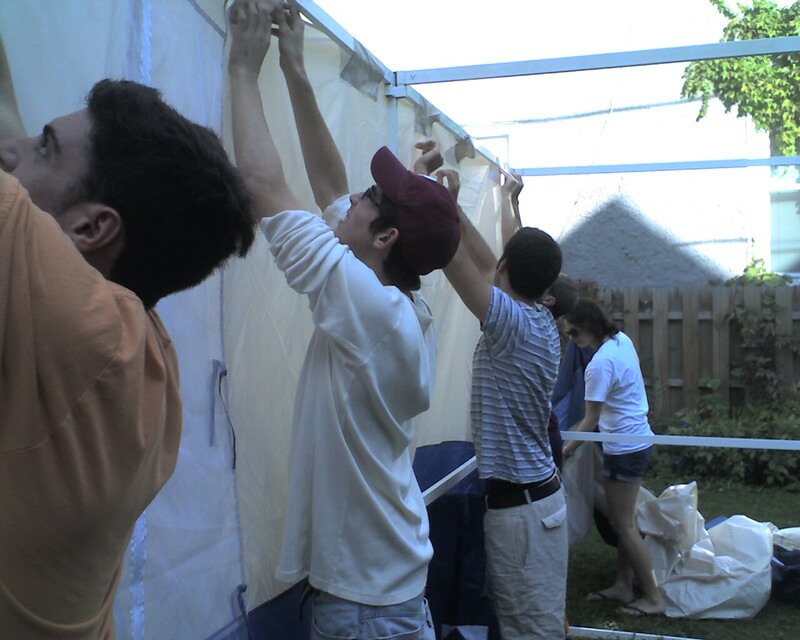 One position holds that the sukkot in the desert were “sukkot mamash,” real booths like the ones we put up today. The other holds that they were metaphorical sukkot, and really the sukkot we erect today are symbols for the “ananei hakavod,” the clouds of the divine presence that accompanied the Israelites on their journey. 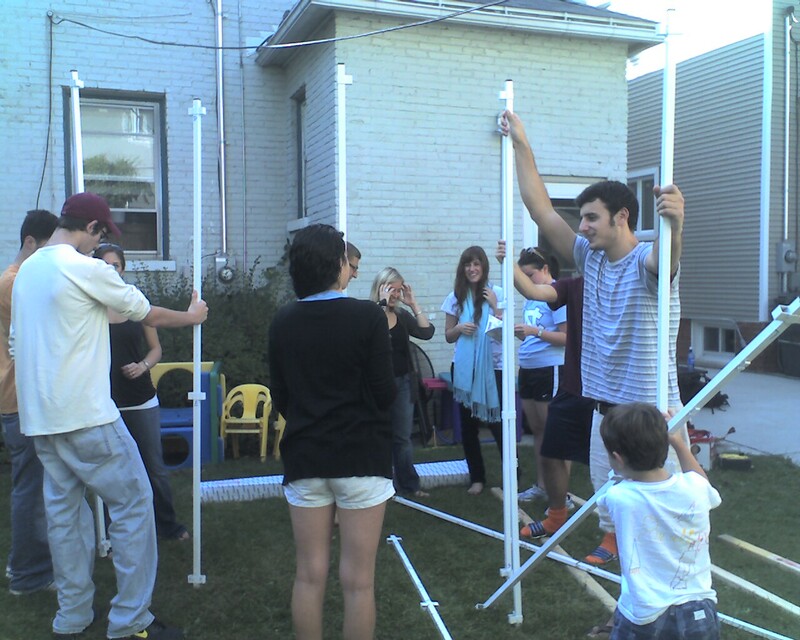 Sukkot is a holiday of symbols: The sukkah and lulav & etrog invite interpretation. And indeed, each of these symbols has a long and rich history of interpretation, from representing various kinds of people (in the four species of palm, willow, myrtle and citron) to symbolizing the openness and welcoming tent that our community is meant to be (in the sukkah). In this sense, the sukkot of the ancient Israelites seems more like the clouds of God’s presence–they weren’t real sukkot, but rather signal a different dimension of existence. Yet the sukkah, lulav and etrog are tangible, they are real. 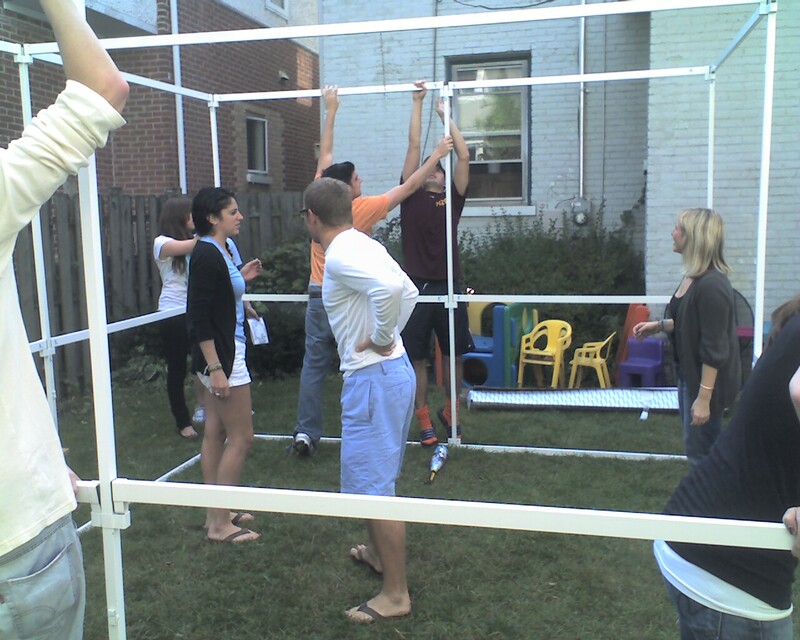 As these pictures attest, when we build a sukkah we’re not building a metaphor. We rely on math and geometry, planning and measuring, and ultimately execution, to erect a structure. The lulav really is green and pointy, and the etrog really is yellow and fragrant. These things do not exist as ideas in our mind; they exist in the real world. So in this sense, it makes more sense to say that the sukkot of the ancient Israelites were sukkot mamash, real sukkot. Which is it? Like many good Jewish questions, the answer is “both.” The sukkah and the lulav and etrog are definitely real, but they are also symbols. Or, to reverse it, they are symbols, but they are also real. Yet we should embrace the beauty of this paradox. That is the message of Sukkot. After the sense-denying day of Yom Kippur, Sukkot thrusts us back out into the world of physical existence and reminds us that our lives in this world are works of beauty. We are here for a purpose, and that purpose is to embrace and elevate the things of the world, and to do so in a way that validates and includes the many different types of creations and people in the world. And at the end of Sukkot, we leave the sukkah behind and celebrate Simchat Torah–the real letters and words of the texts of our people. Those words have a physical reality, but they become symbols as well. And through their symbolism, they guide our real lives. We thus live in a constant dialogue between the world as it is and the world as we imagine it to be. That is the space in which Jewish life happens. 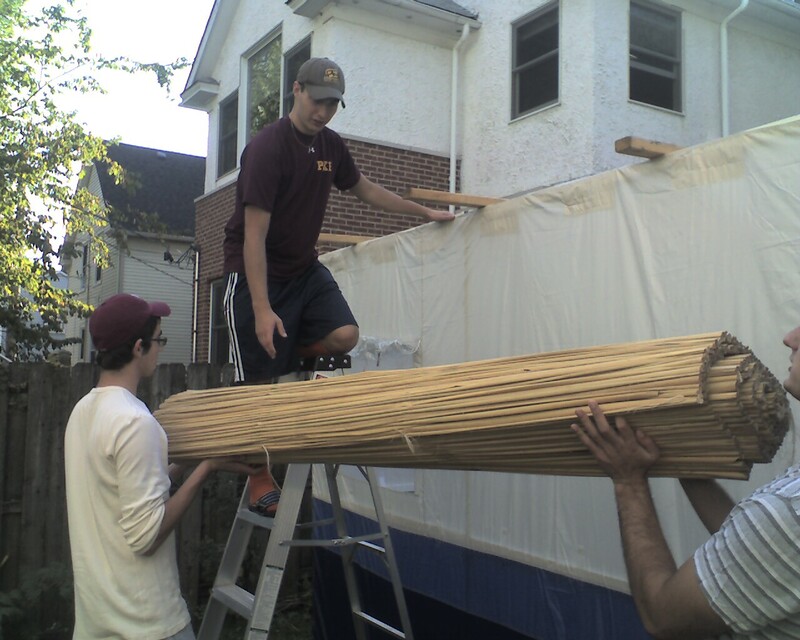 We build the sukkah, we live in it, we learn in it, and then we take its message with us into a year of learning and study, a year of doing and action.